Twenty-three years ago, hailed as a dream project of the then Chief Minister Dr Farooq Abdullah and noted filmmaker Muzaffar Ali, the shooting of a film on the queen poetess Haba Khatun began with a lot of fan-fare. After twenty months of continuous shooting in Kashmir in 1989, ‘Zooni’ was shelved and forgotten forever as the political turmoil forced Muzaffar to pack his cameras and fly out of Kashmir. Zooni is a period film revolving around the sixteenth century royal consort of Yousuf Shah Chak. Also remembered as the Nero of Kashmir, Shah ruled Kashmir twice – for a year in 1579 and for five years from 1580. Since he was arrested by Mughal emperor Akbar and banished to Bihar (where his grave was claimed to have been traced after over 400 years in late last century), he happened to be the last ruler of independent Kashmir. Hailing from Chandhara hamlet in city outskirts, Zooni was married to a peasant Aziz Lone. Since her mother-in-law bullied her, the conjugal strife made this young woman to express herself in verses. While the king was passing by through the Saffron fields in Pampore, her melodies captivated him. The king got this 19-something girl divorced from her indifferent husband and made her his queen. She was named Habba Khatun. She contributed a lot to the music as the consort for around 14 years. Later when Mughal emperor Akbar managed to take over Kashmir, Habba forsook the world and became a hermit. She built a small cottage near Pantachowk where she is believed to have been buried after she died at the age of 55. For decades she was the voice of a subjugated race. Her poetry is on the lips of Kashmiris’ even today. Her grave, it is interesting to mention here, is one of the vital positions on the Srinagar – Jammu highway for the armed forces to maintain a round-the-clock presence. Since Zooni’s story offers a blend of Kashmir’s socio-political and the cultural ethos, Muzaffar Ali decided to make a film on the subject. In 1987 when he discussed the project with Kashmir’s flamboyant Chief Minister Dr Abdullah, it was approved. The state government helped him in managing over seven-million rupees credit from various banks by offering guarantees and all kinds of help. The shooting started in 1988 amid fan-fare with Vinod Khanna and Dimple Kapadia in the lead roles. The film was to have two versions – English for the international audience and Urdu for the national one. The music of the international version was to be done by Oscar winner Japanese composer, Riyuchi Sakamoto, with songs in Kashmiri by Mohan Lal Aima. The Urdu version has songs by Shahryar and music by Khayyam. A New York based writer James Killough wrote the script with Urdu dialogues by Asghar Wajahat. The world-renowned fashion designer Mary McFadden of New York designed the costumes of the film. Muzaffar planned to shoot the film in all the four seasons, two were completely shot and third season was a bit incomplete when things started getting bad in Kashmir. Around the same time Dr Abdullah resigned as the Chief Minister of the state and Muzaffar too left the state without completing his magnum opus. The state government had promised him that it will extend the bank guarantee but it could not happen even after Dr Abdullah returned to power in 1996. 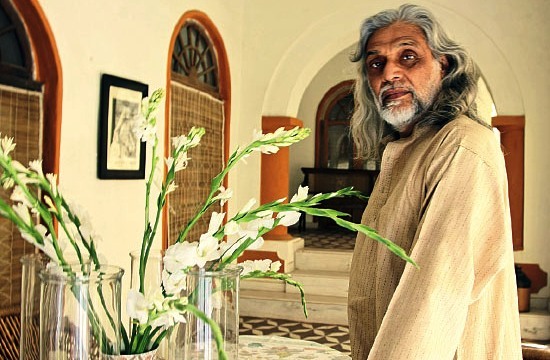 Though Muzaffar Ali still dreams of completing Zooni, the artists in the lead role have grown old, completing the rest of the film with them will make no sense now. On the other hand completing such an ambitious project after 23 years of hiatus means it needs huge investments considering the present standards of filmmaking. Next Article Bollywood Boosting Tourism?